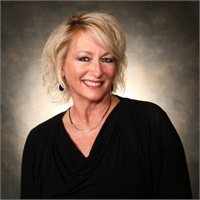 Marilyn is founder and co-owner of Mersberger Financial Group, Inc. She works closely with her husband, Peter and sons Joshua and Zachary, regarding the growth and direction of the company. As vice president and manager of business and operations, Marilyn's responsibilities include payroll, accounting, employee and client relations, and overseeing all daily operations of the business. She also assists staff with office procedures as well as directing the marketing efforts of Mersberger Financial Group. Marilyn is also an active supporter of many local charitable organizations.